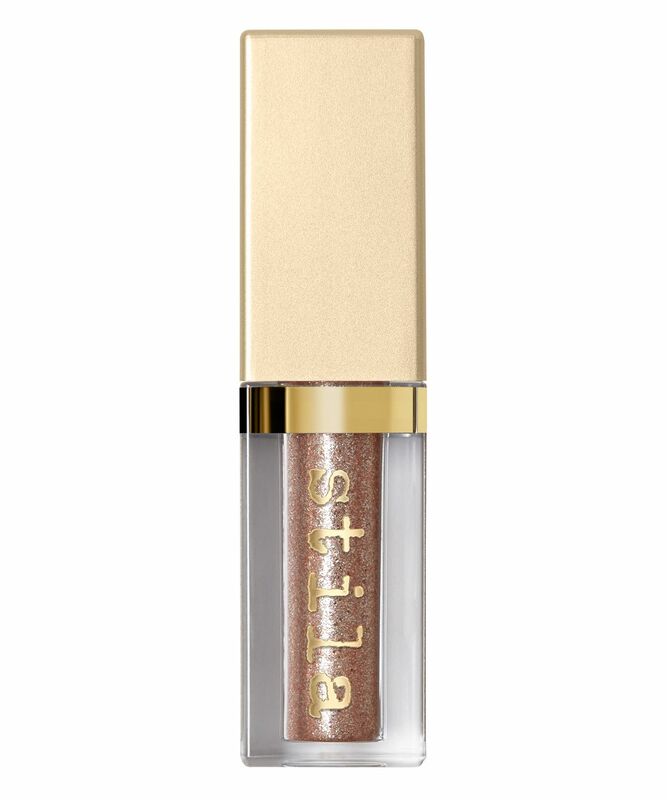 Taking the 'lip lacquer' phenomenon and modifying it for eyes, Stila’s Magnificent Metals Glitter & Glow Liquid Eye Shadows are set to be this year’s beauty game-changer. Prepare to be spellbound by the oh-so-shiny, richly saturated colour pigment that takes glossy shimmer to dizzying new heights. It has the same show-stopping texture as your best-loved liquid lipstick, which stays dazzling for several hours after application. Available in a veritable jewel box palette of shades, it’s your perfect party make up essential. For eyes with serious sparkle, this blindingly stunning shadow pigment combines pearlescent and glitter particles to guarantee an instant head-turning look. The water-infused texture is super easy to apply, thanks to the applicator wand and dries to a shimmering finish that never dulls. 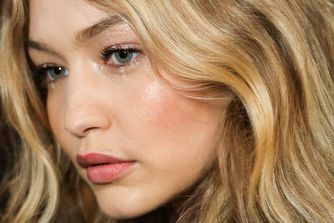 Yet it also cares for the skin with conditioning glycerin, while triethanolamine forms a protective barrier between the skin and the glittery pigment, so it always feels comfortable to wear. Choose from an array of gemstone hues, from the twinkling ebony 'Molten Midnight'; show-stopping 'Gold Goddess' and beautiful bronze 'Smouldering Satin', to the shimmering silver 'Diamond Dust' and exquisite 'Rose Gold Retro'. There's a shade to suit every skin tone and occasion. Apply one coat directly along the lash line and centre of the lid. Wear alone or over eye shadow. Water, Mica (Ci 77019), Aluminum Calcium Sodium Silicate, Calcium Sodium Borosilicate, Hydroxyethyl Acrylate/Sodium Acryloyldimethyl Taurate Copolymer, Polyethylene Terephthalate, Squalane, Polysorbate 60, Caprylyl Glycol, Hexylene Glycol, Phenoxyethanol, Glycerin, Triethanolamine, Carbomer, Silica. (+/-) Iron Oxides (CI 77491, CI 77499), Titanium Dioxide (CI 77891), Tin Oxide (CI 77861). I really like the shade enchantress, peach with bright gold pearl. However, I find them so fiddly to apply. At first, I tried it with the applicator and looked way too shimmery. So then I tried a flat brush and went on ok, but have to work quickly as they dry fast. I then applied with my finger and noticed it cracked on my eyelids. Also, there is quite a lot of fallout, and so hard to remove! However, I will keep on trying as I love the shade, suits my eyelids perfectly! I bought Gold Goddess - it is so pretty. It’s chunkier than I imagined, but still an amazing product. No mess, no fuss, no need for glitter glue. Just apply and go! I think this is one of the easiest eye-glitter products to use. The colours are so beautiful. I’m going to buy Ballet Baby and Into the Blue next. All the colours look so gorgeous! These are perfect for the party season! I already own Kitten Karma which I love so I decided to buy Enchantress, which I hoped would be similar to Coral Crush(Korea limited). It's described as Peach with Bright Gold Pearl, but there are so many green and fuchsia glitters, which make any kind of warmth disappear and makes it look cool toned & frosty. Also the glitters are super fine instead of different sized like in Kitten Karma. The staying-power is also much worse. I really don't recommend this shade. The single most incredible eye product I’ve ever used. The pigment and texture is simply beautiful and wonderfully long wearing, used with primer I got a full days and nights wear with NO creasing. I now want to purchase every shade! Sparkle the night (or day) away! Rose Gold Retro was the choice of colour, however it really didn't disappoint. Very sparkly worn alone or over a finished eye make up. I do both for day and night and get many compliments. Easy to apply and no fallout. A little goes a long way. I need to try other shades as it's just a fab product. I have the shade gold goddess. Looks absolutely stunning and is very easy to use. Definitely, recommend if you're in search of a good glitter for the eyes. One of the most useful products in my arsenal. So versatile and you can put it on sheer as a topper or pack it on! A little goes a long way and it’s sure to last a while. Highly recommend. I love this product, I am by no means a makeup artist but this product is so easy to apply and has great pigmentation. I bought the diamond dust shade, which popped on my eyelids alongside other matte eyeshadows I had used within the crease of my eye. I wore this on a night out and it lasted all night with no fallout. If I had one small negative it would be that the eyeshadow is slightly sticky when first applied and does need a little while to dry. However, great product, which I would highly recommend. 5 Stars on my Eyelids! Great pigmentation, Easy to use and What an effect! Nothing holds up next to this. It goes on like a dream and looks fantastic in photographs. I have this in Rose Gold Retro which looks gorgeous. The pigment is great and it stays put all night. It can be messy to apply and dries very quickly, but that isn't a problem if you do your eyes before foundation to tidy up any stray glitter. This took a couple of goes to get right. I don’t want full on bling look so paint a line in centre of lid then blend out with shadow brush, gives a lovely shimmer that lasts. Bought one for a try "Into The Blue". Soooo beautiful glitter. I will definitely order few more colors. Also, the packaging is stunning. I absolutely love these metals, I have Kitten Karma and Smokey Storm and they both really bring out the blue in my (dirty blue) eyes. They go on wet and set over a couple of minutes, you can do a subtle swipe or pat the doe hoof applicator on your lid to build a really intense, solid glitter look (I let it dry a bit and then go in for a second layer). It's pure Studio 54! I've worn this on many a night out and it dissipates a little over time lightly glittering your cheek bones, but the eye look holds true through a night of dancing. Miraculous party staple! So beautiful. I have kitten karma and whilst it's more cool toned then I thought it would be, its still such a beautiful, brightening shade. I love how you can apply this with the wand for a seriously intense pop of glitter, but you can also sheer it out if you just pop a bit on your finger and then rub it on another finger before applying. Also, you literally have to wait about 1 minute and this will dry and not transfer all day/night, even if you get a bit sweaty on the dance floor - even on my incredibly hooded eyes. Literally the only down side to this product is you will have glitter on your face the day after, but it's a small price to pay. Item goes on clunky, nothing like in pictures, gritty and looks really bad. Would not recommend to anyone. This product is insane. It looks so magical and makes me feel like a princess whenever I wear it. What you have to keep in mind though is not to touch it once it is on your eyes. I once rubbed my eyes on accident because I forgot that I had put it on and I had glitter all over my face. Also do all your other eyeshadow first because if your blending once it is dry the same thing happens. But that is to be expected and otherwise you get no fall out at all and it stays on your eyes for the whole day. Love it. Another beauty to add to my collection, long lasting, no creasing (great for an ageing princess such as myself) and oh so sparkly. I ordered the rose gold retro and it's amazing. I wore it today while out shopping and I'm so impressed. I forgot to use eye shadow primer but you don't need it. It stayed all day. Not budged. It goes on so smooth and isn't sticky like other liquid eye shadows. It's weightless and so nice!!! Will be buying more!!!! So easy to use and the colours are amazing. This is a product I am really excited to use; it goes on very easily and smoothly - and quickly - and shimmers for the whole evening. I, too, will have to get some more colours. One of the best glitter applications I ever came across. Evening glam in literally one easy swipe and it lasts too! I bought Molten Midnight and Smouldering Satin recently after watching numerous YouTube tutorials and I wasn't disappointed. They look great on their own or over a smoky eye, essential for nights outs and holidays. I want them all!! I finally managed to use this eye shadow in 'Smouldering Satin' on my weekend away and it was fantastic! I had so many compliments over it, it made me feel gorgeous! It's so sparkly but not 'trashy' or cheap looking! I heard rumours it cracked and flaked for some people but it didn't for me at all. Removing it was so much easier than I thought as its not hard sharp glitter, so it didn't irritate my eyes at all. I can't wait to go out again so I can use it! These are some of the most beautiful eyeshadows I've ever seen. Can be comparable with loose glitters although they're more metallic and just stunning. It’s really great! Stays and does not crease. This item comes with NO warning about how incredibly difficult it is to remove the product from your face. The glitter gets everywhere and is extremely uncomfortable. My eyes were red, swollen and sore from the amount of small glitter that managed to get in, yet the product does not warn you about the potential dangers. The formula does not blend very well and seems blotchy but most importantly- steer clear if you care for your eyes and vision. Disappointed sorely. These actually satisfy my glitter needs, just adds that extra something to your eye look and is so easy to apply. The other reviews are right in saying a little goes a long way so these will last you a while. Great for all over the eye or as an accent to whatever eye shadow you're wearing, I sometimes even wear these in my inner corner. This is gorgeous and leaves me feeling glamorous whenever I wear it. It is really easy to apply, I just slick a line across my lid, and it stays put until I remove it with my usual cleanser. No drama, no mess, no glitter weirdly appearing where I don't want it. It is a very overrated and intense glitter that you know will not fall onto the and stay on whatever the weather. Worth the hype and the price. It´s a pleasure to use it. Got so many compliments and request while wearing "Diamond Dust." The only problem is, that I am gonna need all of them now! I bought the shade Sea Siren and it's perfect for a night out. Every time I used it I got lots of compliments on my makeup. I will definitely try more colours. This is so so pretty, I wear this all over the lid for a quick makeup and it's perfect. Expensive but worth the price in my opinion. I have this lipstick in Patina and Nudo and they are the best I've ever tried (and I tried a lot, believe me). 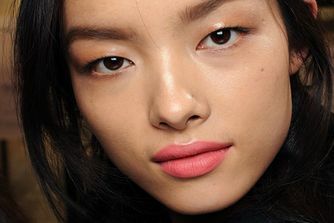 Creamy, not drying, not too shimmery and looking flat on the lips. Will definitely buy more. I have a smokey storm and have had so many compliments/friends borrowing. Goes on so easy and haven't found I've needed to build the colour up at all, really easy to apply even if you're all thumbs like me! Will be ordering more colours, bring back the festive season so I can wear them all at once, please. These liquid shadows are super pigmented I bought the shade rose gold retro and it is gorgeous but the shadow took a little while longer to dry than expected. Also, I got quite a lot of fall out but it sailed away really easily. Overall I would recommend it. Everyone was asking me what eyeshadow I was wearing - the colour is beautiful (I have sea siren) and it's long lasting. It can go quite clunky if you layer it, but that's being picky - as it doesn't even need much layering because it is so pigmented. This is the easiest way I have ever tried to apply glitter. Just make sure you work fast as trying to blend edges when it's dried is impossible, you'll just crumble glitter everywhere. Much easier than other products I've used for glamming up my lids, no mess or fuss. This eyeshadow is everything; it is amazing pigmentation and shiny as hell. I would deffo recommend it big time. I LOVED it. It's a must have in every make up kit, I only wish the bottle were bigger other wise it's perfection. I just received rose gold retro liquid eye shadow & Perla stay all day liquid lipstick. I'm over the moon with both over them. Amazing staying power and colours to die for. I've searched so many brands to get the correct lip colour and Perla it is - so happy! I'm buying more from the liquid eye shadow range now. As gorgeous and glittery as the online reviews suggested. Struggling to stop myself from buying every other colour! Shipment time was also very reasonable. These blend so nicely. They are SUPER easy to use when you want to achieve metallic glittery eyes, since they don't have fallout of regular metallic shade/glitter. Some shades are a bit different in consistency but it isn't too bothersome. 10/10 would recommend. Wow, just loving the sparkle of this easy to apply and beautiful eyeshadow. I wore it last night and got lots of lovely comments on it, and was asked exactly what it was. Stayed on beautifully all night without creasing. In fact love it so much may have to indulge in another 1 or 4!!! This product is absolutely amazing. 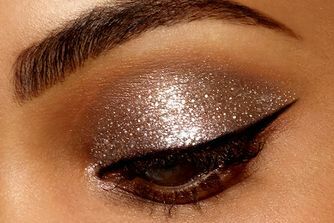 I have it in the shade Smouldering Satin and on a night out the first time I wore it I got at least 15 compliments on it and everyone wanted to know what it was that looked so sparkly and beautiful on my eyes. Super easy to work with, I can not rave about them enough. I was lucky enough to get these in New York before they launched in 'diamond dust' and a purple shade which I gave away as a present. They are PHENOMENAL! I was torn between these and Pat McGrath labs pigment and these ones honestly give a much more glittery effect! 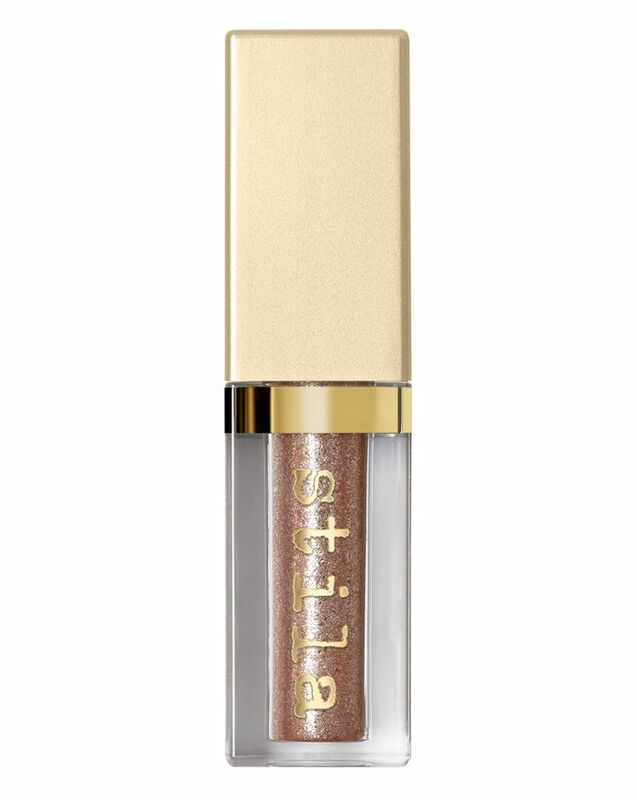 (Obv Pat's pigments can do more and are metallic etc., but over double the price) Stila have come up with a wonder product, no glue necessary and the colour and glitter pay off from these is UNREAL. Stocking up before they sell out - I suggest you do too, if you love a glitter eye or enjoy a glitter halo effect then you NEED these in your collection.